Sanjay Leela Bhansali’s latest outing Padmaavat finally made its way to the silver screen after going through quite an ordeal. 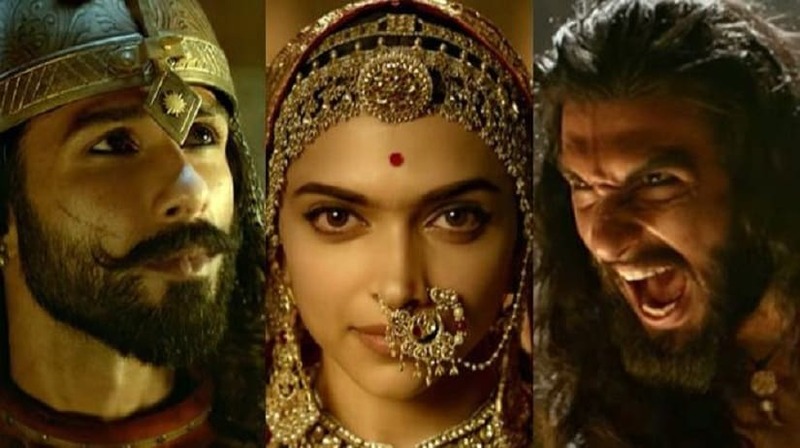 With violence, attacks, vandalism surging across various corners of the country by fringe groups as a mark of protest against the film, the fact that Padmaavat finally saw a release would be a great relief for the makers. Going by the early box office collections, the film has managed a decent footfall on 25 January (the day of its release). Also, the preview screenings have helped the film earn around Rs 5 crore. According to a report by the Indian Express, the film has witnessed 60 percent occupancy on day 1. Explaining the reasons behind the average occupancy, trade analyst Girish Johar says, “At the end of the day, viewers are only looking to be entertained and they would avoid getting into a ruckus, as much as possible. Therefore, the advance bookings of Padmaavat have also been affected in that regard. While in some cities, the bookings are as strong as ever, there are also some pockets where people have showed little or no interest in the advance booking of the tickets. Mostly, people have found it wise to take a back seat currently and give the troublesome situation a day or two and then take a decision about watching the film in cinema halls,” reports Indian Express. Taran Adarsh also took to Twitter and revealed Padmaavat‘s earning in the paid preview screenings that were organised a day prior to the film’s release on 24 January. According to a report by Jansatta, many film trade pundits predict the film to be a massive hit as the days pass. Although the exact figure of Padmaavat‘s first day box office collections isn’t out yet, some even forecast that the film might mint close to Rs 20 crore on its opening day. It is also being said that there is high probability that the film cashes in Rs 100 (plus) in its opening weekend. Many vox populi surveys claim that the general public wants to see the film and are completely undeterred by the hooliganism around. The Jansatta report claims that the advance booking of the film has seen a staggering response. In spite of skyrocketing ticket prices — Rs 2200 for premium and Rs 2400 for special premium in the multiplexes — people have turned up to the ticket counters. Padmaavat (earlier titled Padmavati) was earlier slated for a 1 December, 2017 release, but due to severe protests against the film, the makers decided to postpone the release to 25 January. Many Rajput fringe groups claim the film shows queen Padmini of Chittorgarh in a bad light and insults Rajput tradition and women. Padmaavat is based on the life and times of the 13th century queen Padmini who chose self immolation over falling prey to the clutches of the ruler of the Delhi Sultanate Alauddin Khilji. The film stars Deepika Padukone, Shahid Kapoor and Ranveer Singh in lead roles.